Customized keychains aren’t only ideal for business and promotional add-ons, but are also great for expos, trade shows, conferences, and giveaways. These are fun favorites to provide to customers and prospects who will remember your brand and business every time they get in their vehicle. Create these custom keychains from LogoToYou.com any way you like; add clipart, text, logos, and other artwork, and take advantage of our free art services and proofs. If you prefer, choose from our selection of premade designs and let our artists help you through the process. It couldn’t be easier. 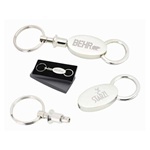 Our customized keychains come with an array of interesting features and are produced in a variety of quality materials that you can select from. Take a look through our catalog to pick your favorites, and add specialized text with your business name or slogan. 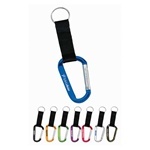 Give custom keychains to your staff and clients, and add them to sponsored gift packs. Bottle opener and torch varieties make these keepsakes even more valuable; they’re sure to land and remain on many a set of keys, ensuring your business name and brand gets out there. For a corporate option, choose a valet style so you can quickly unhook your car key, and take the rest of the bunch safely with you. We offer a range of materials including plastic, acrylic, metal, leather, and more. Leather options are great for businesses marketing luxurious, upscale products while metal works well for hospitality providers, particularly bars—especially when paired with the bottle opener feature. Whichever you prefer, you are assured of top quality products that customers and staff alike will be proud to use. No more marketing tools languishing in drawers, or worse, thrown away. Upload your logo or artwork and order today, or talk to our designers to help you decide. If you have any queries, don’t hesitate to give our sales team a call who will address your concerns. 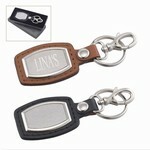 LogoToYou.com offers top customer service for our affordable, customized keychains. Place your order now.